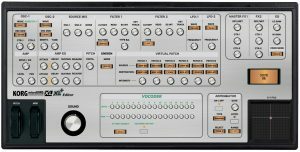 The KORG “MicroKorg XL and XL+ Midi Editor” is the first VST- PlugIn Editor /Controller for the Korg Synths “MicroKorg XL” and “MicroKorg XL+” . It`s a Remote and Sound Editor. It provides a simple access to all important parameters! It is possible as VST Editor and Standalone Editor for PC 32/64 Bit and Mac as VST, AU and Standalone. The “MicroKorg XL” and “MicroKorg XL+” parameters can be automated, they can be stored in your Project. 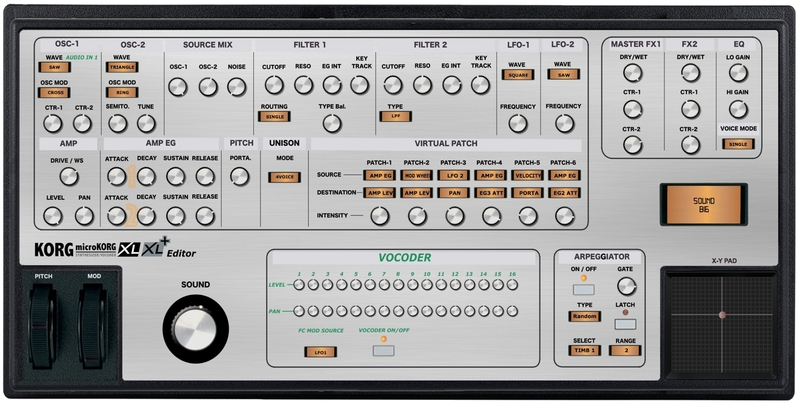 You can select the sound off the“MicroKorg XL” and “MicroKorg XL+” (Patch Number A11-B88 ). Many hidden parameter can be changed on the“MicroKorg XL and XL+ Editor”, an stored on MiroKorg Hardware.